will be speaking at Beit Zatoun Cultural Centre in Toronto. Tuesday, November 17 at 7 p.m. The Paris Terrorist Attacks, “9/11 French-Style”, “Le 11 septembre à la française”By Prof Michel Chossudovsky, November 14, 2015. While Al Qaeda and their affiliates, including the Islamic State (ISIS), are routinely presented as terrorists threatening the “Free World”, most media fail to mention that they were recruited and trained by the CIA, Mossad and others. The United States and its allies have launched a global military adventure which threatens the future of humanity. Michel Chossudovsky is an award-winning author and Professor of Economics (Emeritus) at the University of Ottawa. He is the Founder and Director of the Centre for Research on Globalization (CRG), and Editor of the globalresearch.ca website, a cutting-edge, independent research and media organization. He is the author of: The Globalization of Poverty and The New World Order, America’s War on Terrorism, and Towards a World War III Scenario: The Dangers of Nuclear War. He is a contributor to the Encyclopedia Brittanica; his writings have been published in more than twenty languages. 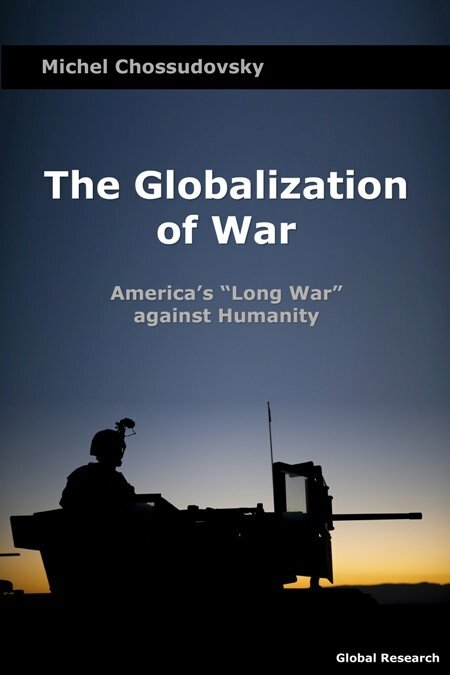 This event will also launch Prof. Chossudovsky’s latest book: The Globalization of War: America’s Long War against Humanity, Global Research Publishers, Montreal, ISBN 978-0-9737147-6-0, 2015 240 pages.